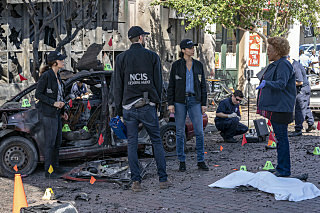 NCIS: New Orleans 5.07 - "Sheepdogs"
that was a much better episode. the team worked together, no pride daydreams, a good case and an amazing bad girl. she played it really well. more like this and I will stay with the show. I like watching her interrogating techniques as well Chelle. Same here about Sebastian and that bomb. Totally predictable.